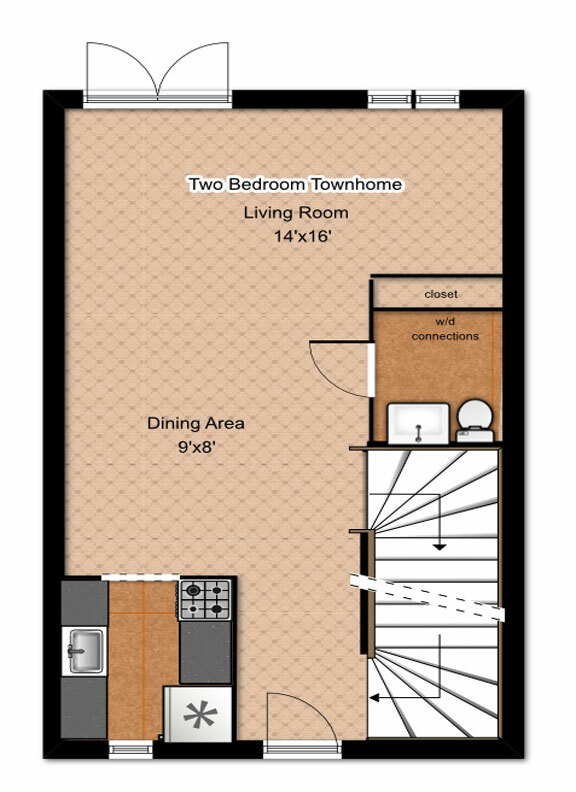 Our two bedroom townhouses are designed for those desiring more living space. A convenient half bath on the first floor with W/D connections. 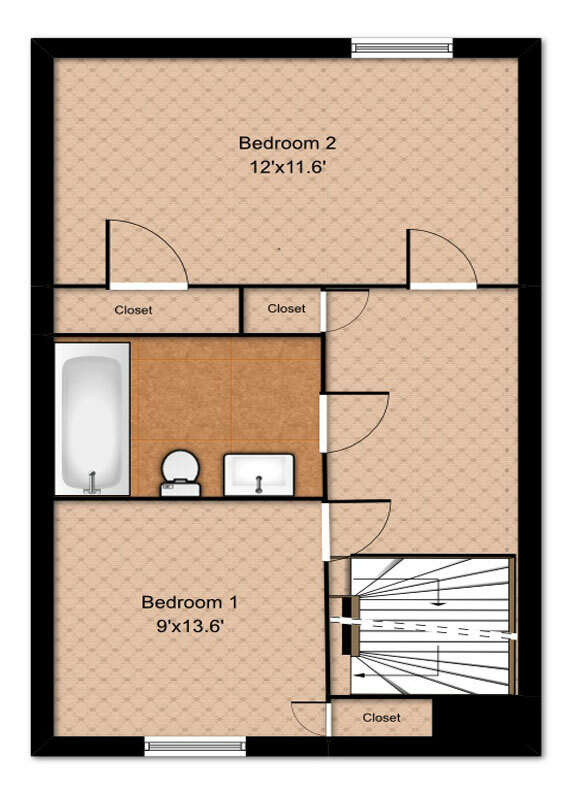 The second floor includes two separate bedrooms, a full bath, and a linen closet. These apartments are equipped with central heat and air, deadbolt locks, smoke alarms, and fire extinguishers. Occupancy is limited to three people with a third person surcharge of $50.00 per month.